*****SORRY THIS VEHICLE IS NOW SOLD!!! ***** Please do not hesitate to us a ring with your requirements and see if we can find the perfect car for you!! FINANCE and PART EXCHANGE facilities available! 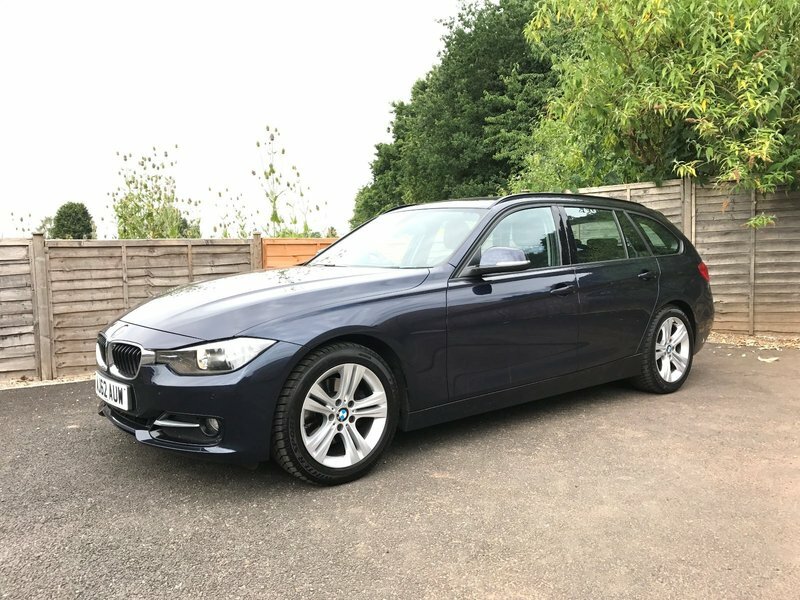 A STUNNING EXAMPLE with FULL BMW SERVICE HISTORY and a GREAT SPECIFICATION including 17inch unmarked Alloy wheels, Power tailgate, Reverse camera, Front and rear parking sensors, Harman Kardon premium audio system, Radio/CD with USB & MP3 Auxiliary input sockets, Integrated Bluetooth telephone system, Multifunctional steering wheel with gear shift paddles, Drivers information system, Drive Performance Control (ECO PRO, Comfort, Sport and Sport + Modes), Cruise control, Dynamic Traction Control (DTC), Air conditioned dual zone climate control, Electric windows x 4, Electric mirrors, Front and rear foglights, Automatic headlights, Auto-dim rear view mirror, Automatic wipers, Power assisted steering, ABS, Driver airbag, Passenger airbag, Multiple side airbags, Remote central locking with Immobiliser and 2 remote keys, Keyless push button start, Adjustable steering column/wheel, Adjustable seats, ISOFIX Rear seating system, Front and rear head restraints, Front and rear armrests, Folding rear seats, Electrically adjustable lumbar support, Set of 4 fitted BMW floor Mats, Rubber Boot liner. This stunning example is presented in EXCELLENT CONDITION with 4 unmarked Alloy wheels and matching Dunlop tyres all with a good level of tread remaining. It also benefits from FULL BMW SERVICE HISTORY having been serviced on 08th November 2014 at 15,116 miles, on 13th November 2015 at 21,428 miles, on 24th August 2016 at 34,011 miles, on 21st January 2017 at 39,670 miles and most recently on 17th November 2017 at 50,124 miles. FREE 12 MONTHS AA BREAKDOWN COVER available as well as a FREE 6 MONTHS WARRANTY and FULL 12 MONTHS MOT to be arranged by us at the point of sale. We currently have very competitive FINANCE and PART EXCHANGE facilities available. All our vehicles are HPI clear with a certificate provided. Appointments available 7 days a week. Please feel free to phone or email with any queries you may have or to arrange a viewing.